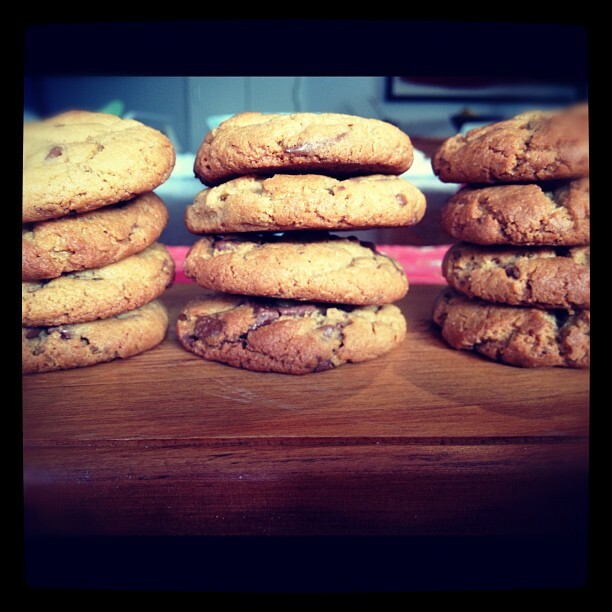 June 12th is apparently National Peanut Butter Cookie Day in the US. 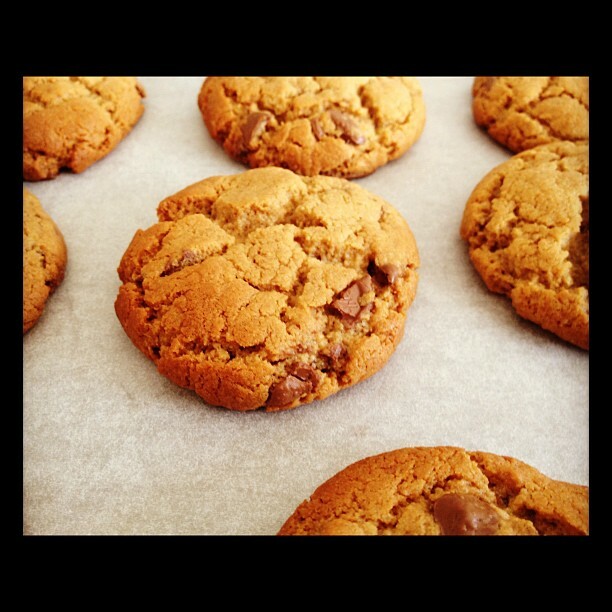 I’m Kiwi-izing these however as I’ve decided to add chocolate to mine – Whittakers Peanut Butter to be precise, and using a recipe from Healthy Food Guide magazine. 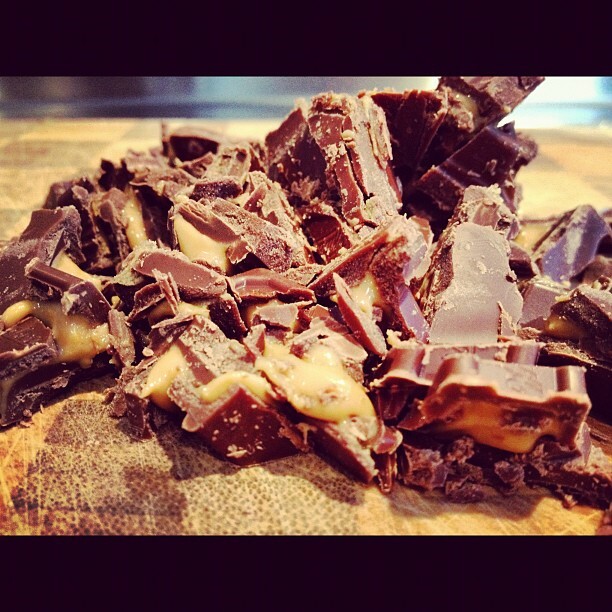 Peanut butter chocolate – seriously addictive! Chocolate and peanut butter cookies don’t seem to be too healthy to me, but as my sister Ms Cake Fix pointed out, they are probably supposed to be enjoyed in moderation, as with all good things. Five ingredients is all you’ll need to whip up these little beauties. Little Miss Two helped me to make them, they’re a great quick and easy one to make with kids. And they’re gluten free too. 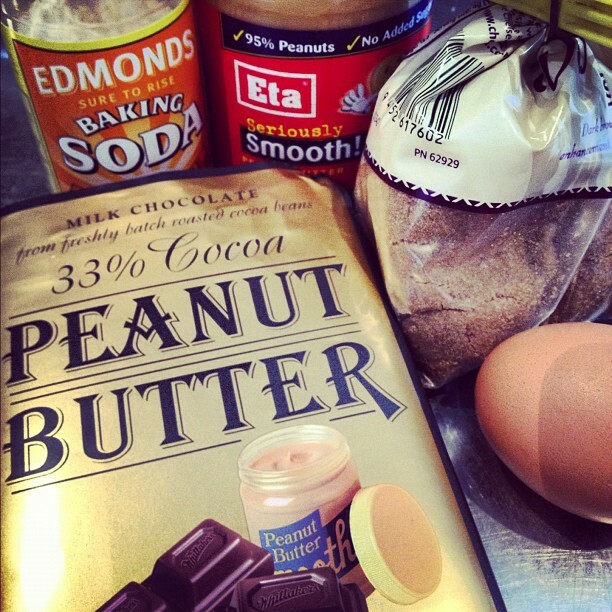 You can find the recipe here, I substituted plain chocolate for the peanut butter block for an extra peanut butter hit!